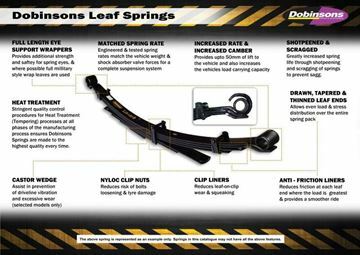 Dobinsons Spring and suspension is an Australian coil and leaf spring manufacturer, established since 1953. 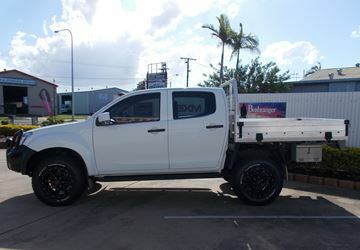 As well as manufacturing high quality 4wd coils and leaf springs in their Rockhampton factory, Dobinsons also have a complete range of 4WD Suspension components. Enjoy the ride, do yourself a favour and insist on the best, think Dobinsons. Browse some of our products below or contacts us today for a quote for your vehicle today. Dobinsons 4x4 coil springs manufacture the worlds best aftermarket springs, and in most cases are 10% to 30 % stronger than the original springs, and are a progressive rate coil, with the design and the engineering to back the quality product, call for a quote today! Autokit Accessories offers a large selection of tools and accessories for various machines and uses. 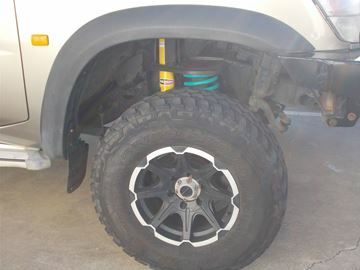 See our shock absorbers available in Bundaberg! Dobinsons 45 mm suspension kit to suit the 100 Series Land Cruiserwith gas shocks turned this vehicle into a capable tough off roader, call for a quote for your vehicle today! 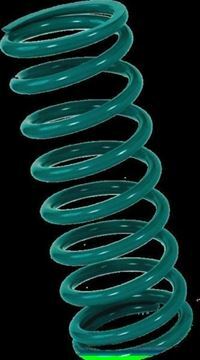 Dobinsons spring and suspension handle a vast range of vehicle springs, and have specifications to suit over 13000 springs. 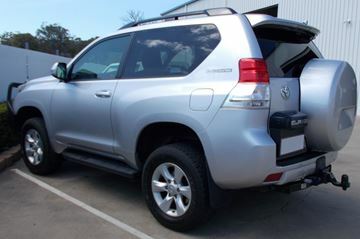 We cater for all vehicles, from the small passanger car line up, to the large trucks. With an extensive stock of leaf and coil springs, shackel pins and kits, u-bolts, shock absorbers, torsion bars polyurethane bushes and most other suspension components, Dobinsons spring and suspension have the answer for you, call today for a quote for your vehicle today! 2015 Nissan NP300 Dobinsons suspension kit supplied and fitted. 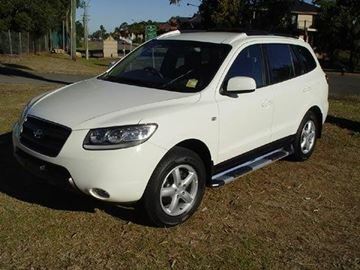 This makes this 4 x 4 a capable tourer, fit for every application, and situation that you may put your vehilce in, call for a quote for your vehicle today! 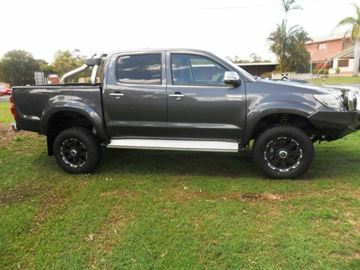 Dobinsons suspension kit supplied and fitted to the Hilux SR5......looks supurb..!!! 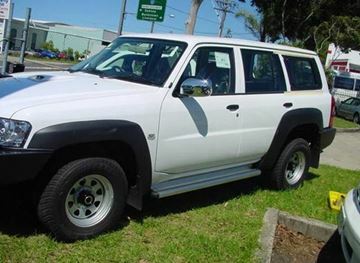 Dobinsons 4x4 products are known for being great value for money. Leaf springs what they do. Leaf springs actually take the weight of vehicle- the design of the spring determines the spring rate- the spring rate is the strength of spring (I.E. how firm or soft the vechile feels, a stronger spring rate takes more weight and gives a firmer ride), this combined with the free height of the spring will determine how high the vehicle will sit. â€¢	Worn spring leaves -Where marks from the end of the leaf below in the bottom of the leaf create weak points and can break easily. 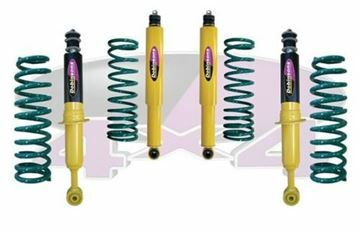 â€¢	If you would like a higher ride height - lifted springs provide a higher ride height and even though they are a firmer rate, the vehicle in most cases rides smoother because it does not hit the bump stops as often due to the increased bump gap. Dobinsons Spring & Suspension established in 1953, is largely based on Leaf and Coil Spring Manufacturing and the supply of Suspension Components. With several generations of family ownership and experiences, Dobinsons has become one of the leaders in the Spring Industry in Australia applying the years of knowledge into their products. The success of the business has come about by providing quality products, acquiring and using technical knowledge and having the equipment to perform and provide professional service. Dobinsons Spring & Suspension pride themselves on having the world's largest range of 4x4 spring and suspension componentry. This extensive range can be viewed using their online catalogues or selecting online. Their quality of design and manufacture is what sets Dobinsons apart from their competitors, if not the price. 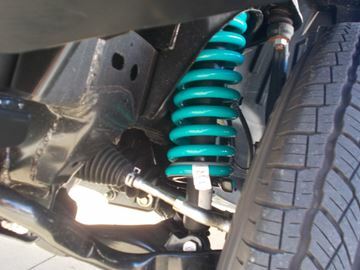 The company manufactures and repairs a large range of springs and sells a comprehensive range of suspension components. They have over 13,000 spring specifications on hand and computerised spring design programs providing them with professional and accurate results. For the past 25 years, Dobinsons Spring & Suspension have been exporting their products to different parts of the world and their name has become synonymous with quality in these countries. The factory covers over 4000m², consisting of a leaf spring production line, a coil spring production line and two large stock holding warehouses. There are thousands of parts kept in stock, including Coil Springs, Leaf Springs, Torsion Bars, Shock Absorbers, Greasable Shackle Kits and Pins, U-Bolts, Polyurethane Bushes, Centre Bolts, Castor Wedges & 4x4 Accessories. It also includes a fully equipped service department dedicated to removing and replacing all types of suspension componentry on passenger vehicles, 4x4 vehicles and trucks. 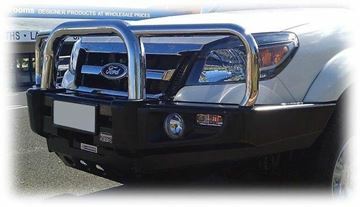 Based in Rockhampton, Australia, Dobinsons are a great company providing great suspension products. The GU Patrol Ute is one tough looking vehicle stand, and with a 2 inch lift, one tough beast. 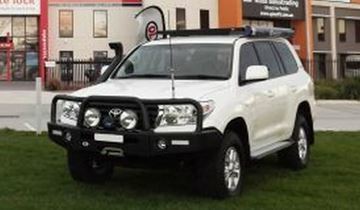 Dobinsons is a great brand of 4WD accessories who specialise in suspension products. Based in Australia, Dobinsons assure their quality suspension will get you where you need to go. Gas cell shocks are a great way to go! The Dobinsons suspension kit to suit the dmax is a great product. 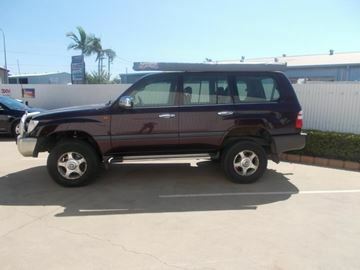 Based in Queensland, Dobinsons 4X4 offer a range of 4WD products, but specialise in suspension. 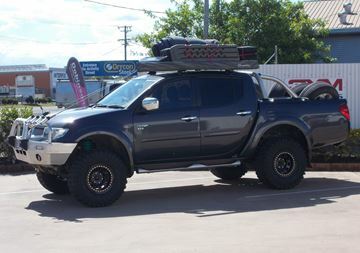 The Dobinson 2 inch suspension kit to suit the MN triton gives the vehicle a good lift. Dobinsons 4x4 is known for being great value for money.